Basecamp Hotelâs Orange Spiced Hot Chocolate. There’s no better way to kick off your après-ski (or perhaps snowboard, snowshoe or sled) than with a mug of hot chocolate tricked out with a variety of spices and, some would argue most importantly, booze. 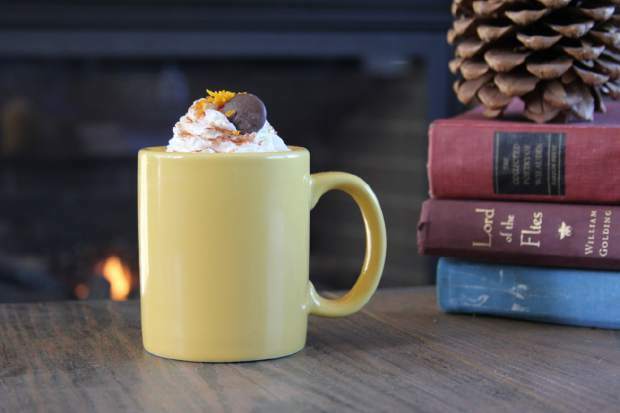 It should come as no surprise that the hundreds of restaurants and bars in the Tahoe-Truckee region have concocted their own unique variations on hot cocoa that locals and tourists alike eagerly enjoy after a day out in the snow. Though we’d highly recommend enjoying these beverages in the establishments that create them, sometimes the lure of a warm fire and sweatpants back at the cabin is too much to pass up. So kick off your snow boots, grab your favorite mug and whip up one of these delectable hot chocolate recipes from a few of our favorite Tahoe joints. Directions: Combine all ingredients into a heavy-bottomed saucepan, heat while whisking until milk just starts to boil, immediately turn down the heat to minimum, and continue to whisk for three minutes until all the chocolate has melted. Serve topped with whipped cream. Basecamp Hotel has locations in South Lake Tahoe and Tahoe City — visit basecamptahoecity.com. Directions: Prepare an 8-ounce cup of hot chocolate using your cocoa mixture of choice. Pour in tequila and a dash of cayenne pepper, and stir to combine. Serve topped with whipped cream. The Auld Dubliner Irish Pub is located in Olympic Valley — visit aulddublinertahoe.com. Directions: Prepare hot cocoa in a cup, then add in Baileys and rum. Stir to combine. Top your drink with whipped cream — River Ranch makes theirs in house — and drizzle with caramel syrup and chocolate shavings. The River Ranch Lodge and Restaurant is located in Tahoe City — riverranchlodge.com. Directions: Prepare a large mug of hot chocolate — roughly 6 to 8 oz. Add in Rumple Mintse, Kahlua, and Tuaca. Stir to combine. Top with whipped cream and a drizzle of chocolate syrup. The Loft is located in South Lake Tahoe — visit thelofttahoe.com.